So, who got arrested last night? The UpTake’s volunteer coordinator Suzanne was shooting video of a police-protester confrontation when she got caught up in the melée and was arrested. Woman #2: Oh, is that here? Overheard by Amazed and saddened. Definitely add it to your RSS feeds for the next couple weeks. 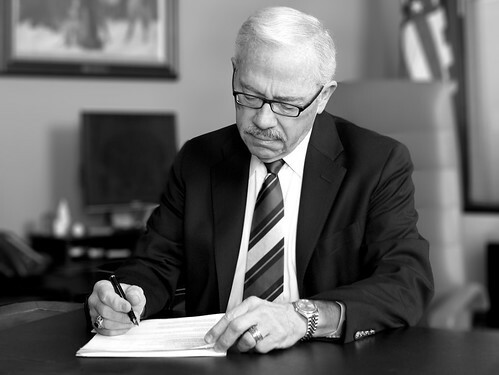 According to figures released August 19, Bob Barr, the official Libertarian candidate for President of the United States, only has 150 signatures on the petition to get him on the Minnesota Ballot. He’s already confirmed on the ballot in 38 states and finished or in court in 9 states. Minnesota is SO far behind. It’s puzzling that most voters — fully 55% — say Barr should be included in the fall series of presidential debates, yet the Minnesota Libertarian party can’t seem to organize well enough to get Barr on the state ballot. But it’s not too late — the deadline is September 9, with an internal goal of August 25 so the Secretary of State’s office can verify them. Want to sign your name on the petition? Check the official MN Meetup group to see where they’ll be (MN State Fair today). Mike Ferguson, the national field director of Bob Barr 2008, confirmed yesterday that Barr is coming to town sometime before and/or during the Republican National Convention. Meanwhile, there are lots of videos on YouTube if you’re wondering just who this guy is and how he differs from two choices presented to us. Remember when I live-blogged filling out the RNC volunteer application, and it took me 40 minutes and was a sincerely backwards process? Well, I’m getting all of these e-mails about when I’m supposed to volunteer, discount tickets to Twins games as a thank you and such, but I can’t remember which dates I told them I was available. That’s a bit of a problem now that the RNC is looming, and I’m not going to be in town like I thought I would be. So I’m trying to access my profile on https://jobs.quickhire.com/scripts/msp2008.exe and can’t get in. I don’t remember my password, and they never e-mailed it to me when I registered. So listen up, RNC. I tried to give you notice, but your stupid fear-mongering password system is just as backwards as your application process. Maybe next time, k? According to the PiPress today, they are still 6,000 short of their goal of 10,000. After filling out the volunteer application, I think I know why. When I saw MNSpeak’s link to this story a few minutes ago, I turned to my wife and said, “Umm…did you ever re-sign up to register for the RNC, honey?” You see, we actually signed up to volunteer on September 17, 2007, but apparently that application didn’t pass muster. The 2008 Minneapolis Saint Paul Host Committee recently launched a new volunteer application at www.msp2008.com/volunteer and are requesting you fill out this application in addition to the one you previously completed. In addition to the one you previously completed?!? DAMN IT! Great. Super. I’m still rolling my eyes. I understand background checks and security clearance are important, but seriously — 20 minutes? No wonder they’re shy volunteers. Anyone in Generation X or Y probably won’t make it past the 3-4 minute mark. But I pushed forward, knowing there was a red clipboard out there somewhere with a big “My Name is Greg” nametag temporarily stuck on it just for me. The password has to be 8 characters, have a capital letter, at least one numeral AND a special character. It’s really overkill. I have maybe 3-4 passwords I use as general rule, and none of them include a special character. Are you like me and just add an exclamation mark to an old standby password in this situation? It’s like my password is shouting. Password1234! But really, that exclamation point is guaranteeing I won’t remember it if I ever need it again, will have to reset the password by remembering what I put for my secret profile password I’ll need in case I forget the first password, which always forces me to chose which of my cats is the favorite (so I use a made-up pet name [that yes, I sometimes forget]). 4. I am fluent in the following languages” (this one doesn’t doesn’t include English, either. Seems pretty self-limiting considering our large immigrant population). (If they have your social security number, wouldn’t they have access to your driver’s license? I had to get off the couch and dig for my wallet in the other room. Then I decided to get a drink and next thing you know I’m surfing YouTube “jump style” videos. Yes! It says it saved my progress so far, and now I’m into the “Referral section.” Time to get up, stretch, find my laptop’s power cord and maybe pick a new iTunes mix. 1. Which group referred you to the Minneapolis Saint Paul 2008 Convention? (I wrote “the internet” — which is probably my favorite group ever). At this point I stopped to ask my wife what she put down for all of these luxurious choices. She stopped what she was doing and tried to remember. You see, we don’t really need to do the same things, but for babysitter and only owning one car reasons, we don’t really want to be downtown and the airport at the same time. We debated event staffing vs. office vs. airports for awhile. She would’ve logged into her account to see what she put down, but SHE COULDN’T REMEMBER HER PASSWORD! (please note the explanation mark). Then I had the privilege of going date-by-date from August 16 through September 5 to give them availability morning, afternoon, evening or not available. But first I had to get up and find my calendar, then sync back up with the wife. Turns out I’m going up to Lake of the Woods to fish over Labor Day Weekend, but there wasn’t a blank for me to tell them that’s why I couldn’t make it for the RNC kick-off. I hope McCain will understand. Fishing is definitely a conservative pastime, right? That’s pretty crappy. Most web forms these days have a couple checkboxes for this kind of opt-in list-selling. Looks like I’m going to be on all sorts of mailing lists for the next year or so. Hooray. Overall, the application took me about 40 minutes to fill out whilst blogging it, watching YouTube, Twittering and generally giving way to my ADHD whims. The average person will probably breeze through the application. And they should. This is a once in a lifetime opportunity, after all.